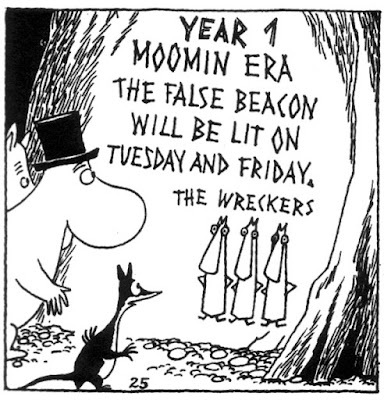 I was recently struck by similarities in the fourth story collected in Drawn & Quarterly’s Moomin: The Complete Tove Jansson Comic Strip and the first season of the TV show Lost, and I feel compelled to outline my discovery here. If you are not familiar with either of these works then I invite you to check both works out and see for yourself. 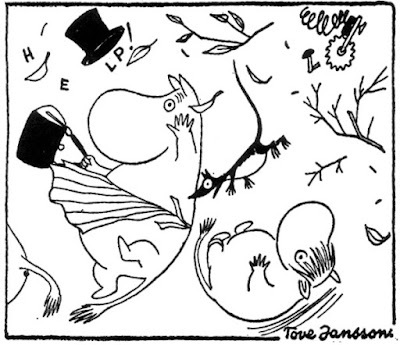 After the Moomins gather their senses they look for food on their island. 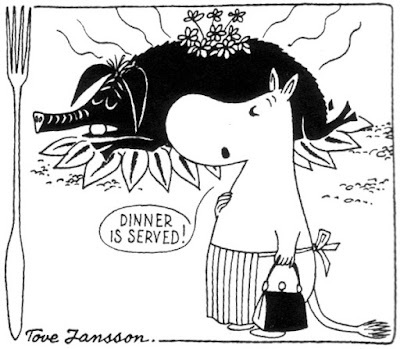 Moomin Mamma plays Locke and goes hunting only to find… wild boars! Yes, he finds a hatch! 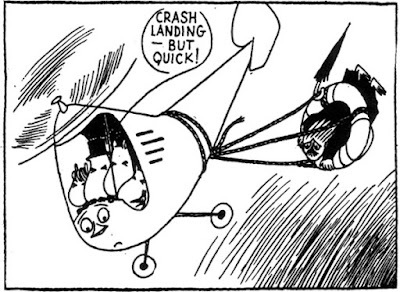 Dear God…the Moomins had a helicopter?!? This is not what I was led to believe from reading the Moomin books we got in Vancouver. Interesting comparison! I just got this Moomin book a couple weeks ago and my niece and nephews already swiped it. My dream is to someday go to Moominworld in Finland. Those books are treasures to my heart. 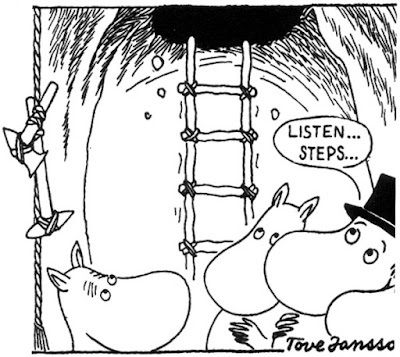 @plok: the Moomins do lots of stuff in the comics that they dont in the chapter books…. like vacation in the French Riviera?! wow! i watched moomin when i lived in south africa as a child and here are the comics of it? goodness moomin has grown up then huh!